Sandra Carr , Rita Ruth Cockrell and Richard Lund. 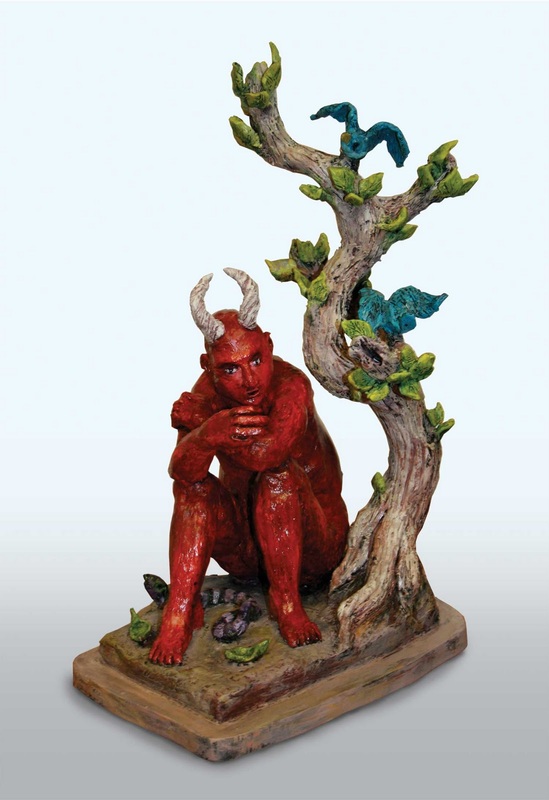 Each of the artists use clay as a sculpting medium. Rather than make functional pieces, they use clay as a medium for personal expression. Each has a distinctive style. They create sculptures with conceptual meaning, taking the viewer past the decorative to a more emotional experience. Clay represents healing for me as an artist. It has been forgiving, stable and has the capacity to change when altered by outside influences. All characteristics I admire and strive for. Sculpting figurative pieces allows me to tell a story in my work or communicate a feeling. It speaks for me when I choose not to. Born and raised in South Carolina, I love this place, every road side weed, every red clay road, leopard clay bank, shadow of white sand. After traumatic event with myself, my mother and authorities, I began working in any medium that came my way, always going toward the inside to go outside. Believing that if I can be good enough, some aspect of truth or beauty would help me understand that even if I can’t get there, the glimmering of the source comforts me. I moved to Columbia South Carolina three and a half years ago. 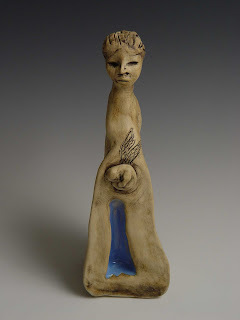 Shortly after I arrived I joined the City of Columbia Arts Center studio which began my working with clay. I have been an artist many years creating paintings, photographs and sculptures but clay was a new exciting medium for me. 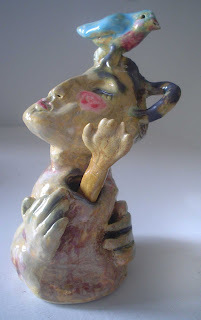 Sculpting in air dry clay offers me a seductive tactile experience that other mediums can not give. As I mold, move and pinch the clay with my hands it allows me to easily release my ever changing imagination and ideas realizing them in three dimensions.